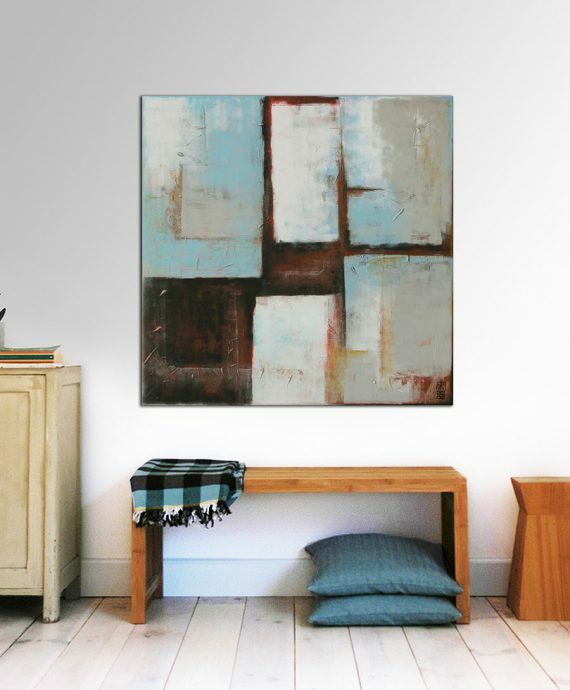 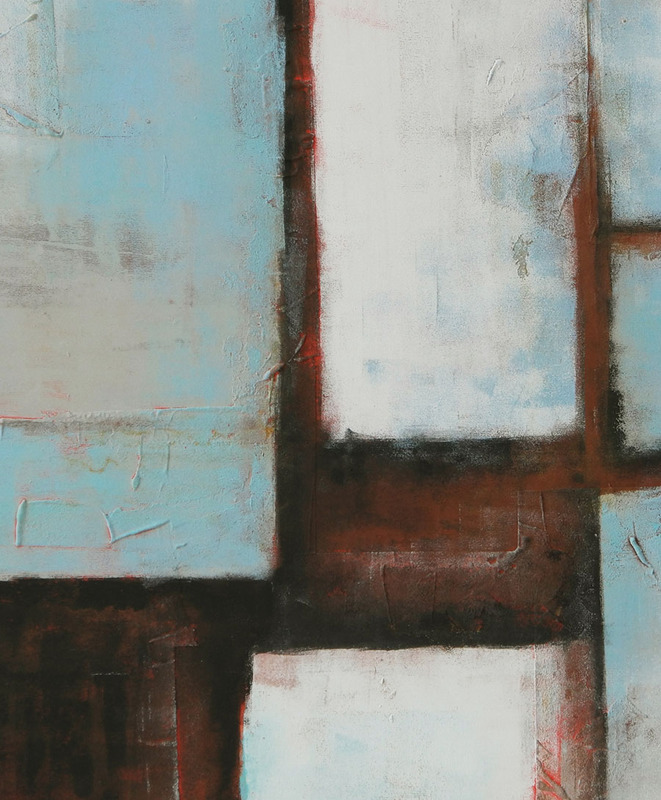 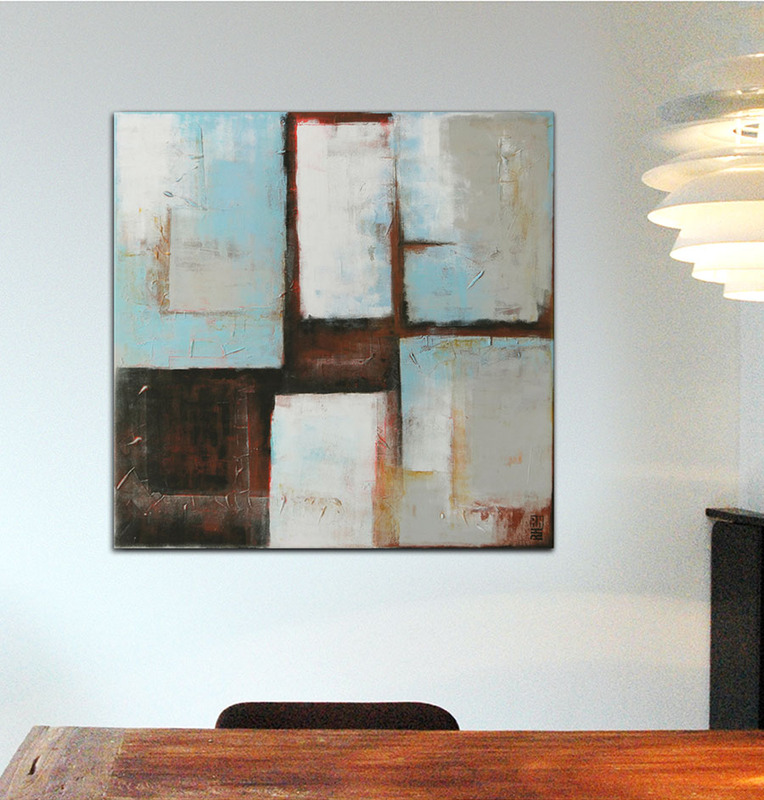 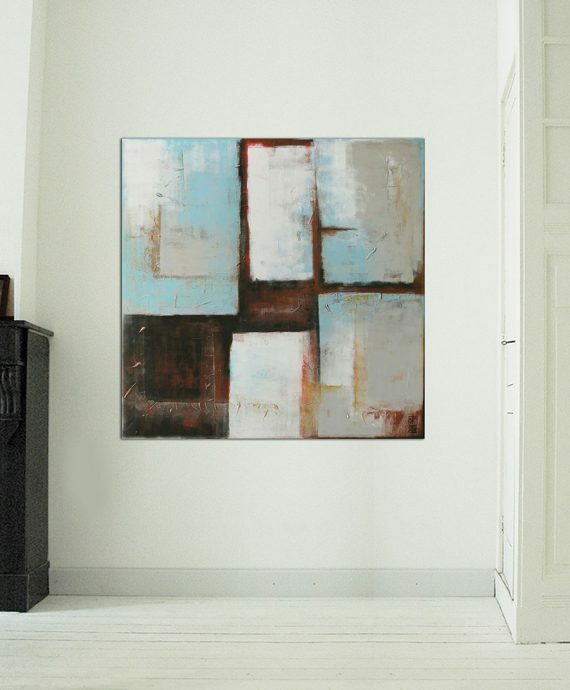 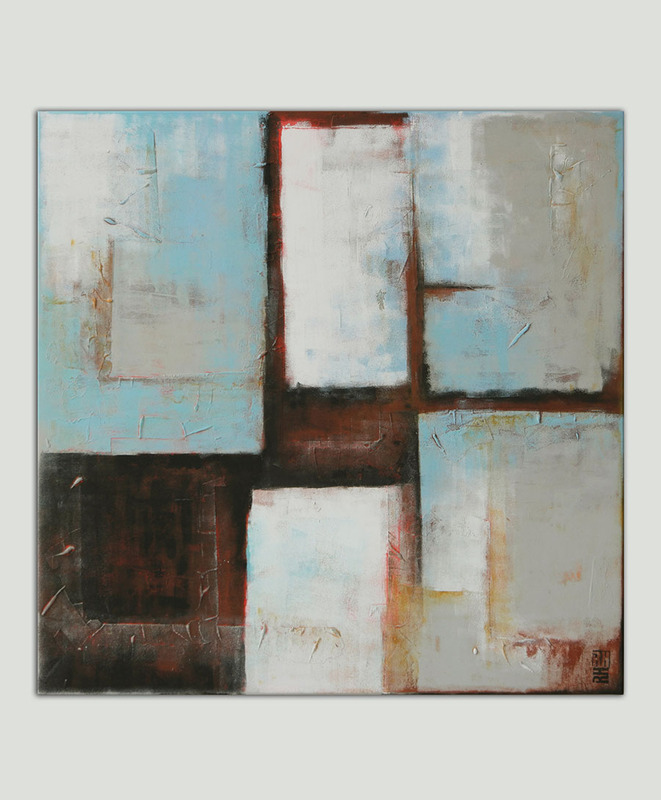 A balanced geometric composition of soft blue, grey and brown tones. 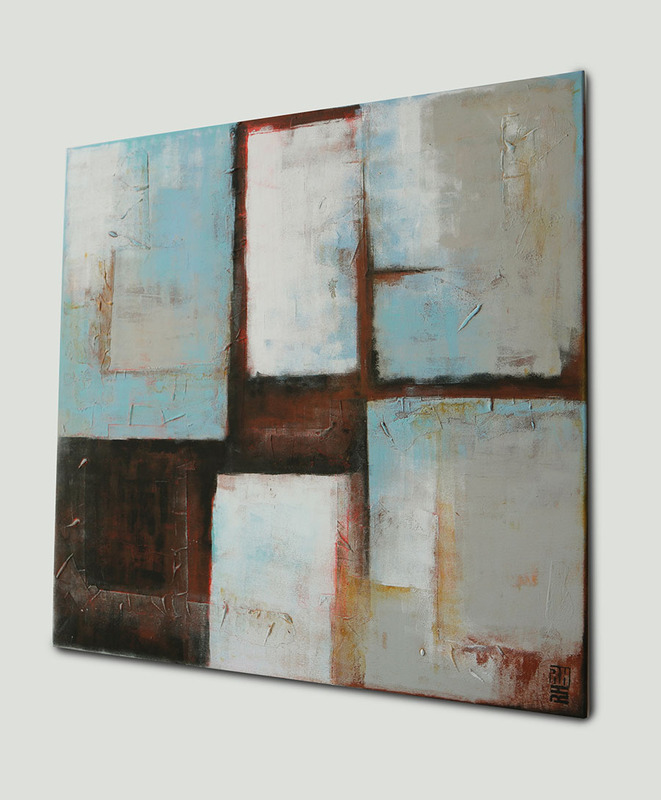 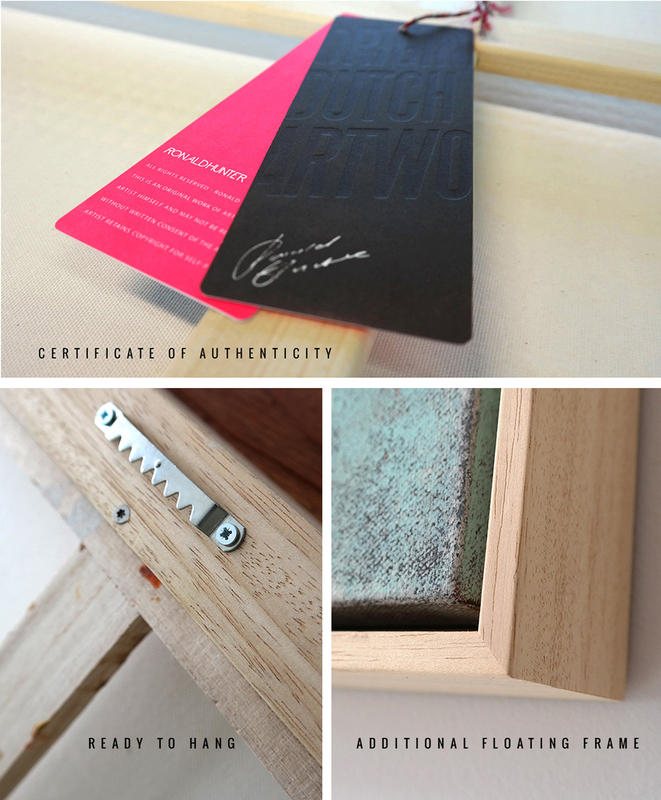 Layers of acrylic paint and texture give the painting an interesting twist. 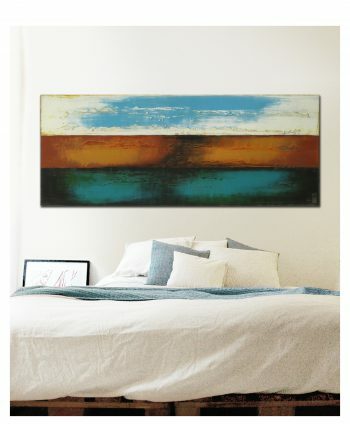 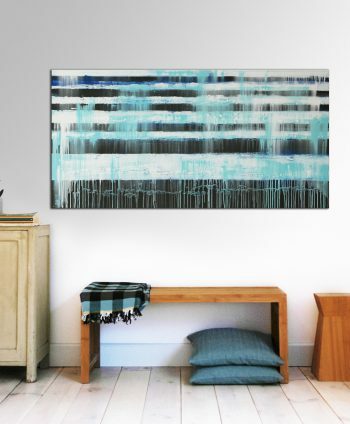 This minimalist piece brings tranquility in the room, and will easily blend in with your interior style.